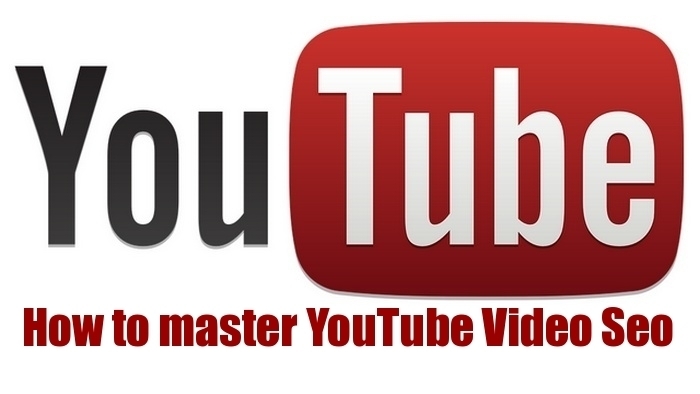 Home » Guides / Tutorials » YouTube Seo – Your Guide to YouTube Video Seo. YouTube SEO is incredibly important to rank your videos. The question is how do you set your YouTube Video SEO set up correctly so that your videos rank well? Ok so in this article you will get some great ideas on how to set up the Video Seo side of your YouTube videos and to be able to rank them for multiple keywords. Not only that you will also be able to employ the same strategy to rank blog articles for multiple keywords. You just need to use the keywords in sub-titles, in image attributes and alt text and into the meta description. Firstly determine the keywords that you want to use to set up this SEO Video Strategy. Head over to Adwords, login to the keyword planner and search for keyword variations of your main keyword that are low volume (Low Clicks Per Month). You want to look for low volume because the competition is low on these words and phrases so you have a much better chance of ranking for them. Remember you are optimizing for multiple keywords and not just one so you can pretty much times the results by the number of keyword variations that you use. The main word or phrase that I am looking to rank for is YouTube SEO and then I have 4 variations that I will also look to rank for. 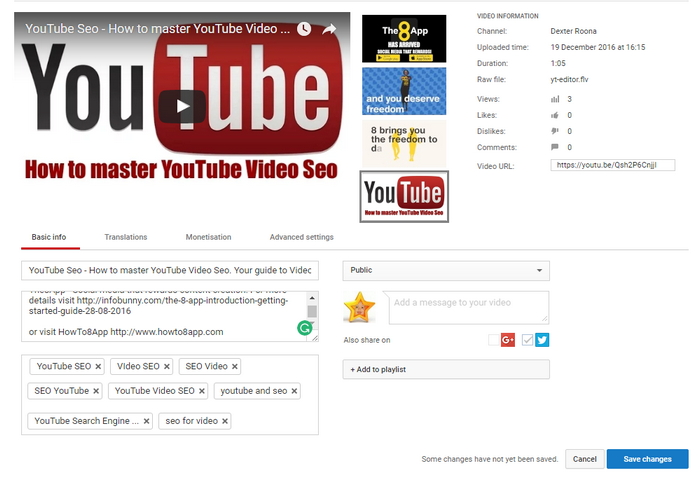 Head over to YouTube and upload the video that you are going to set the video SEO for. The first thing to decide is the title. It needs to be compelling and carry as many of the keywords that you have selected to use. Add your description to what your video is about. Create good copy that uses all the KW variations naturally. Don’t just stuff them in to use them. The text that you create should be a kind of micro-blog for the video. Next, it is time to add in your tags for the video. This is where you can just add the keywords you have selected. So for me, it is YouTube SEO, Video SEO, SEO Video, SEO YouTube and YouTube Video SEO. Add a maximum of around 8 words or phrases and then just publish and you are done. Share to all your social channels to get indexed fast and then monitor your results. Definitely gotta nail down keywords Dexter. If you patiently pick the right keywords for your video and hit the target with the content, YouTube gives you a nice little boost off of the bat. I note this when doubling down on video SEO. Rocking share buddy. My Video SEO could use a bit of a refresher, I think I have it down pretty good as SEO principals are pretty much the same but there are a few tweaks that need to be made.